I published this article in 2012, the year when we decided to go back to homeschooling. It’s been six years and people continue to ask what made us decide to homeschool. I’m very glad that over the years, more and more parents have also started homeschooling or are now considering to start homeschooling their children. One of the best gifts we can give our children is time — time with them and time to focus on things that they are interested in. They are important and we have to make them feel that. We want our children to grow up as intelligent, strong, healthy, conscientious, kind, loving and most of all, happy individuals. Homeschooling allows us to work on all of that every day and best of all, together. I admit that the idea of homeschooling and becoming a stay-at-home mom scared me so much. I knew that there were a lot of benefits in bringing education home, but there was this nagging fear inside me because I knew that it would change everything in our lives. Everything! True enough, it did. And everything changed for the better. The fact that my son was so much happier and actually had time for things he was genuinely interested in when he was younger (like Greek mythology) was enough to prove that we made the best decision for us as a family. Our son also became healthier, more energetic, more thirsty for knowledge. I’m sharing this again because a lot of moms e-mail me to express how much they want to homeschool, but are very scared to do so. If you’re one of them, please know that I truly understand all those questions that keep you awake at night: What if I can’t do it right? What if I lose my patience? What if my child/children refuse to listen to me? What if I don’t have enough energy for this? I have been there, so I understand. What I did initially was to do in-depth research about homeschooling and discuss everything with my husband over and over again. He was very patient with me and never got tired of listening to me when I’d repeatedly tell him about all the doubts I had in the world. It would help a lot if you discussed all your concerns and goals with your partner so you could build a good foundation for your home school. 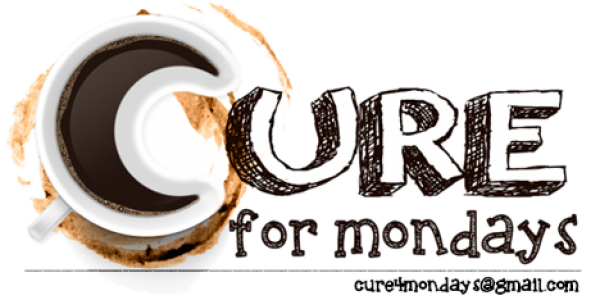 Cure for Mondays is an extension of my thoughts, an attempt to a creative form of expression, a platform for my experiences as a homeschooling mother, our experiences as a homeschooling family, learning experiences, sometimes random thoughts (or nothingness), food, recipes and healthy, natural options for our family. Like my husband, I also do not get tired of answering questions and I encourage you to ask. You may e-mail me at cure4mondays@gmail.com. The decision to go from working mom to SAHM was a bit scary to make, but there’s not a day when I’m not thankful I made the move. Just an update…now that the kids are a bit older, I once again dove into the publishing world and have been enjoying my editorial work tremendously. I’m doing it full time from home, so yes, I have the best of both worlds. One of the things I consider a great blessing is getting featured in 9 Homeschooling Moms We Love by The Asian Parent. Light and Love to those who acknowledged our efforts! Today is Cole’s last day of classes. Today is also his last day in school. We were on our toes for weeks waiting for this day. The end of his days in school is the beginning of our journey into homeschooling. After four long years, my husband and I realized that we turned our backs on something that made it all wonderful for Cole, and for us as a family. We started homeschooling Cole when he was five years old, a time when others bring their kids to play schools. He learned how to read at the age of six, and he could do three of the basic operations in Math: addition, subtraction, and multiplication. If I remember it correctly we saved division for later when he turned seven. When he was seven years old, we had to make what seemed to us then was a wise decision. We put him through school. Sometime in the middle of the school year in first grade, we began to feel that we might have made the wrong decision. For some reason, Cole began “unlearning” some of the things that he had known the months before he started school. All the fun in Math was suddenly gone and he was constantly confused. That was just the beginning of it all. It was also a time in my life when I went back to a career in publishing, then the corporate world, so putting him in school seemed like the right option for us. Every morning the parents go to work, and the son goes to school. It sounded right and attuned to the norm. Then it dragged on for four long years. In those four years, something was nagging my husband and me. Cole became disinterested in stuff that he used to really like and seemed to be always tired. One time when he was in third grade, I asked him what the problem was. My son discussed to us in detail what made school so uninteresting. 1. Too many people in the classroom (most schools in the Philippines, both public and private, have at least 40 students). The teacher hardly has time to check on individual student work and there was minimal student-teacher interaction. 2. Kids spoke bad words and answered their parents back in public. 3. Some teachers would get irritated when he’d ask questions. 4. A teacher in one of the schools he attended brought a curling iron and started fixing her hair in front of the class. When he was in third grade, he asked if he could be homeschooled again. We said yes. However, we kind of pushed it a little bit more thinking that a reputable private school would solve the problem for us. Cole was quite happy in that school during the first few months and Cole’s adviser even told us that he adjusted well and fast enough for a new student. But that feeling of happiness was short-lived, and we started feeling once again that something was not right. He would come home tired with loads of homework to do, and there would be lessons he’d be clueless about, but was forced to understand — all because the teacher had to breeze through some of them to make sure they’d be on time with the lesson plans. We respect teachers’ lesson plans; we just don’t think lessons plans do their job all the time. Whether to go back to homeschooling or not was initially my call. One of my fears was becoming a stay-at-home mom because I started working at the age of 18 and had tremendously enjoyed life being a working mother (even if I had slips in my choices of jobs along the way). My husband was patient and did not push me to make a decision right away. But the Universe has a way of answering questions and straightening out confusion. Our answer came in a small box called a pregnancy test. It was a miracle of miracles because I thought I’d never get pregnant again. Yet there it was, delivered straight from the heavens to our doorstep. The tiny seed growing in my tummy would later become Attika Xafiyya Ssian Sade. As soon as we confirmed through my OB-Gyne that indeed there was an earthling growing inside me, my husband put his feet down and said, “Welcome back, homeschooling!” And pure bliss hugged me. So here we are, finally back home! I’m also delighted at the discovery that there are so many homeschooling parents in the Philippines now. The numbers significantly grew over the years and this means more and more kids are spending quality time at home and are getting a lot of love and learning from teacher parents who genuinely care for them.